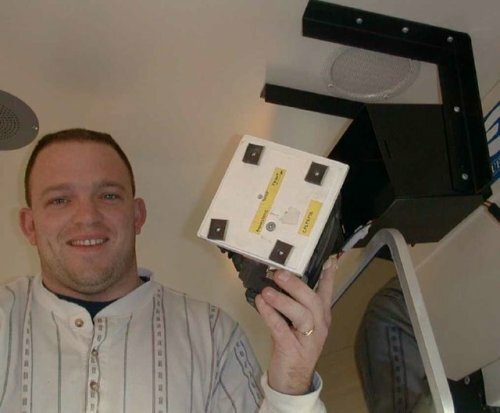 Charles with one of the "Jack in the box" systems form the Dark Ages of mobile video systems. Notice the sharp steel edges facing the travel path of children. For school bus cameras, digital bus video cameras, vehicle camera, mobile video surveillance systems, digital in-car video camera, in-car camera, bus camera surveillance the best value is 100% Solid State digital like the SD4m or SD4 series.